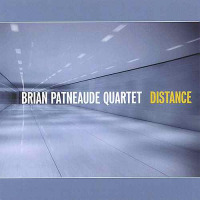 The Brian Patneaude Quartet's third release As We Know It is like a cool breeze, a favorite piece of clothing, or the warmth of the sun's rays. The music is neither frantic nor languorous; it sounds and feels comfortable. Popular in the upstate New York area they've been gained the approval of critics but most importantly listeners, with palatable and engaging music that's easy on the ears yet also conveys a tight group presence. A very good saxophonist, Patneaude's own style draws inspiration from renowned horn players Michael Brecker and David Sanborn with music that appeals to both serious and casual listeners. His leadership, attention to harmony, melody and intelligent compositions are achieved through a solid group that has grown since its formation in 2002. The quartet (saxophone, guitar, bass, drums) is complimented by guest keyboardist Dave Payette, whose nimble playing on Fender Rhodes gives the music a coolness that's pleasant to the ear. Bassist Mike DelPrete and drummer Danny Whelchel supply a firm foundation on which the soloists, including guitarist George Muscatello, can explore. This is evident on "Exit, a slow simmering groove where each player adds to the simple vamp as Patneaude's warm timbre and phrasing lead the way. The group's range is wide, from the Latin-flavored "Will You Be and the ballad "Simple Truth, to swinging true on "Majority. The thought-provoking "Life As We Know It is the centerpiece of the album, but there's also a sense of humor on the whimsical "Gil Barney (Wins The Race), which is donned with nasty guitar wah-wah , a funky back beat, and multiple time signatures. 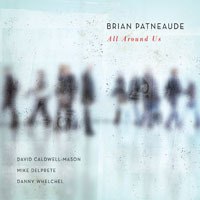 With As We Know It the third times a charm for the Brian Patneaude Quartet. 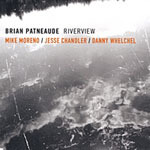 Personnel: Brian Patneaude: tenor sax; George Muscatello: guitar; Mike DelPrete: bass; Danny Whelchel: drums; Dave Payette: Fender Rhodes (1-3, 5, 6).